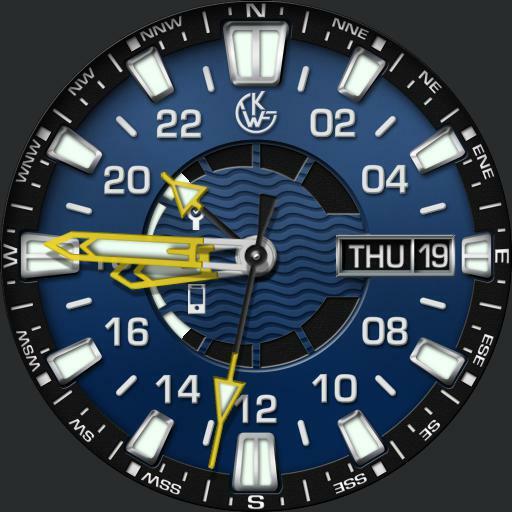 Tap logo area to cycle dial colors, 7 in all. Tap Center to change hand accent colors via UColor next. Tap Date area to cycle 24 hour hand modes = 24 hour local, UTC, TZ1, TZ2, TZ3, Compass and Steps count. Tap 9 area to cycle Lume choices, Blue/Yellow or Green/Orange. Tap 6 area to cycle dim modes, On Normal, Always On or Off.